Signia Hearing Aids are considered the “forward thinking” and personalized hearing health care solution from their parent company, the Sivantos Group, Inc. The Sivantos group operates out of North America and has manufactured one out of every four hearing aids that are fitted on an international scale. Sivantos also manufactures Siemens and Rexton hearing aids. The Silk Nx series are the newest addition to the powerful Signia family and are considered the smallest and most natural sounding ready-to-wear hearing aids. With Silk hearing aids, users no longer need to wait for a custom hearing aid mold to be made in order to enjoy discreet hearing aids with innovative features. The Silk Nx hearing aids are 20% smaller than their predecessor and are almost 100% invisible when inserted into the ear canal. 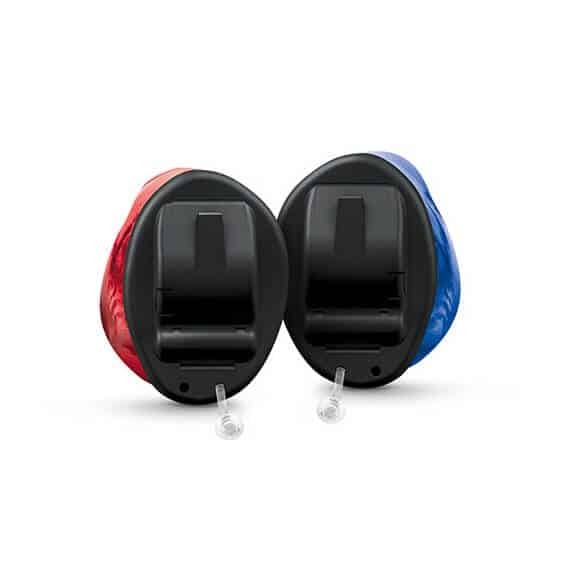 The Silk’s “click, fit and go” system uses various sized silicone sleeves that simply click onto the hearing aids, thus improving comfort and fit for all. These hearing aids also understand what you want to hear, and instantly suppresses distracting background noise – allowing you to enjoy the conversations around you. 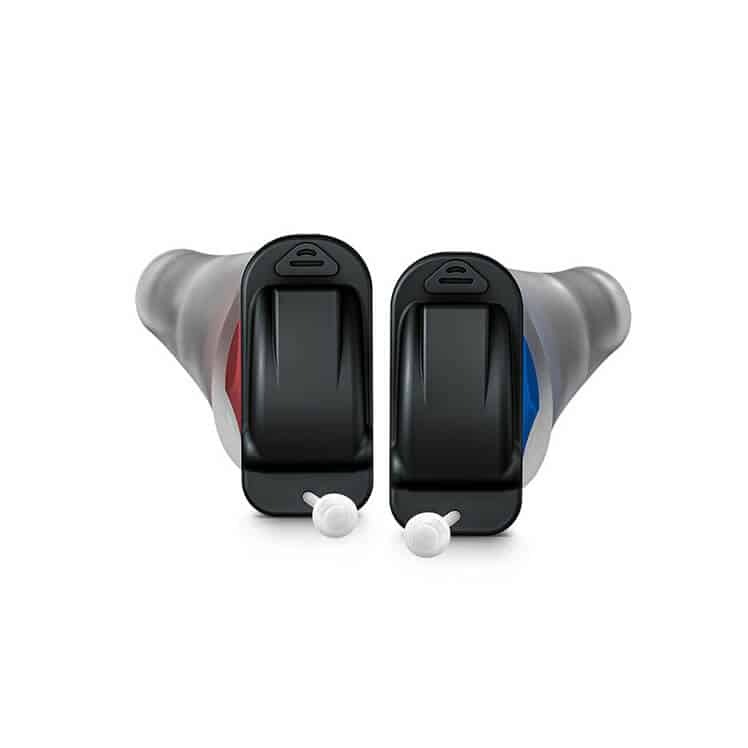 The Insio™ offer all the same powerful features you would expect from the Silk Nx, however, they include the added dimension of comfort and individuality by being completely custom made to exactly fit your ear canal. 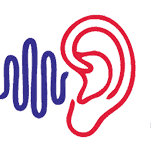 For some people, the added benefit of a completely custom fit is paramount to improving sound quality and hearing aid satisfaction. Because they are completely custom fit, the Insio™ hearing aids are also very discreet, becoming totally invisible when being worn. 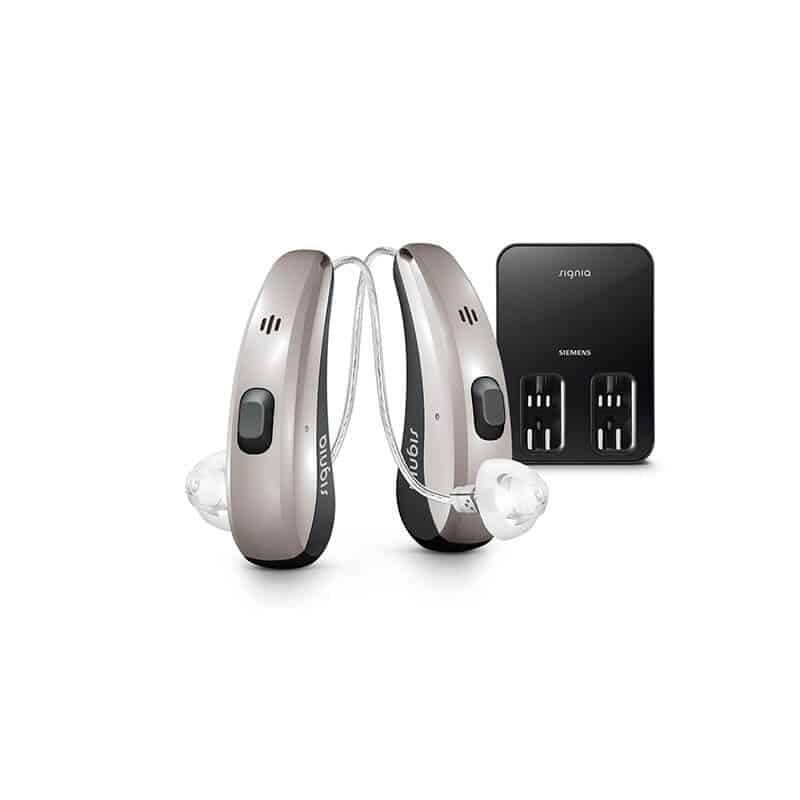 As one may expect from the name, the Pure Charge&Go hearing aids are Signia’s rechargeable hearing solution. These hearing aids charge while you sleep, allowing you to forget about replacing your batteries. The Charge&Go aids are also smart. They can wirelessly connect to your smartphone, TV or computer allowing you to instantly stream whatever it is you want to hear – directly into your hearing aids.